When I took this photo, he doesnt know that I am going to use it for blogging. And now he will know :p. I do not have his outfit styling credits.. Sorry guys.. I hope that I am not too late. In fact, I am lost in my inventory, as I were super busy, in RL and SL. I try my best to do all the blogging this week before I got into hibernation mode banging my head to figure out what I should do for the coming Cosmo Sale Room. My theme for this week photo is all about music and feeling, since I participated in the event called The Feeling. Most of the designer release their special item for this event. I love music or anything to do with instrumental item as I never really have the time to play them in real life. 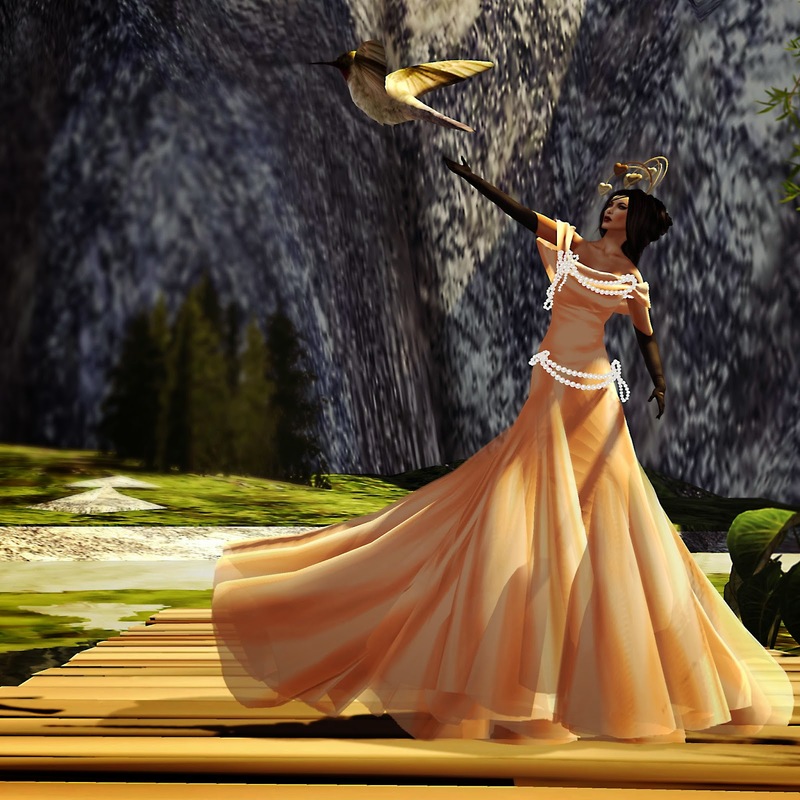 And second life, provided me with my imaginative side of what or how I feels in it captured in my own noobie shoot. And I feel that in this photo, I want to be more curvy because it is more beautiful than a flat in my model shape. :p . And yes, when I have nothing to do, that is when i start to spend money.. LOL..and so I bought new skin released recently by Egozy. I think it is superrrrrr, will be wearing it more often for my blog photo. And here, is my styling credits for today's blog. Necklace -Phoebe - MESH Necklace ~Fallen Heart - Free Gift @ Feeb's Rascals St. Belly Ring - Phoebe ~Piercings & more- Butterfly Belly Piercing @ Feeb's Rascals St.
Tattoo - *PerveTTe* [Tattoo] Free - Feeb's Rascals St. Shoes - Shoes - .:GD:. Glitter Pumps Pink . :Glow Designs:. .:Cosmopolitan Sale Room:. Nail Polish - Alyce - Slink Finger Nail Polish - Glitter French - . :Cosmopolitan Sale Room:. Shoes - .:GD:. Glitter Pumps Red . :Glow Designs:. .:Cosmopolitan Sale Room:. Hair - ""D!va"" Hair "Layla"